Gerbera Daisy Diaries: Rise and Shout the Seminoles are OUT! My new favorite team! 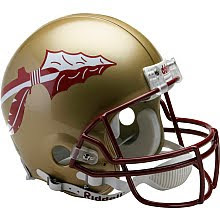 Thank you Florida State for doing what my Sooners couldn't do. My arm is tired from doing the Tomahawk CHOP! Sooners take on ACC foe Miami (who beat FSU) in two weeks. We have a huge game ahead of us!